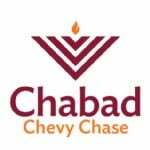 Chabad Chevy Chase will be hosting a Public Menorah Lighting on Chevy Chase Circle. 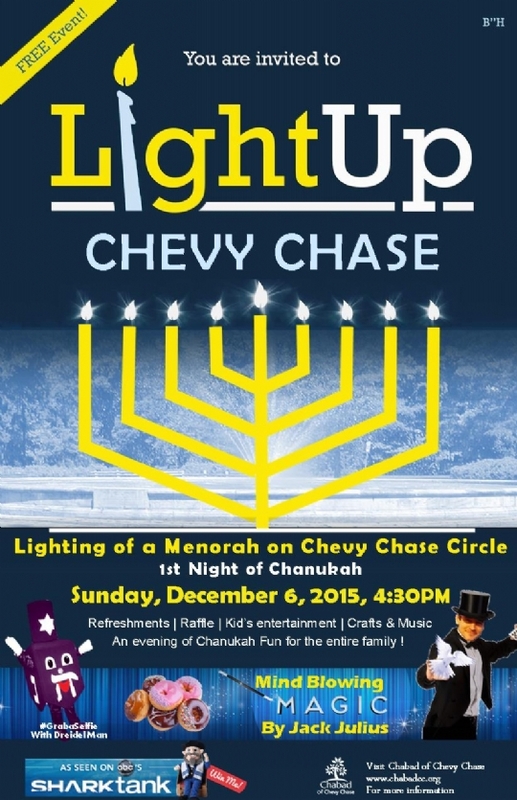 The Event will take place Sunday evening December 6th (1st Night of Chanukah) @4:30. Dreidel man: take a picture with this cute, plush mascot. We have been in touch with Chief Fitzgerald of the Chevy Chase Village P.D. There will be Police presence during the entire event. Chief Fitzgerald has offered the following recommendations. The event is taking place on a Sunday evening. Parking on street should therefore not be an issue. You may park on all legal parking spots on nearby streets. The start of the event is during the day. Traffic should not be heavy at that time. Please use caution, crossing only on designated crosswalks.